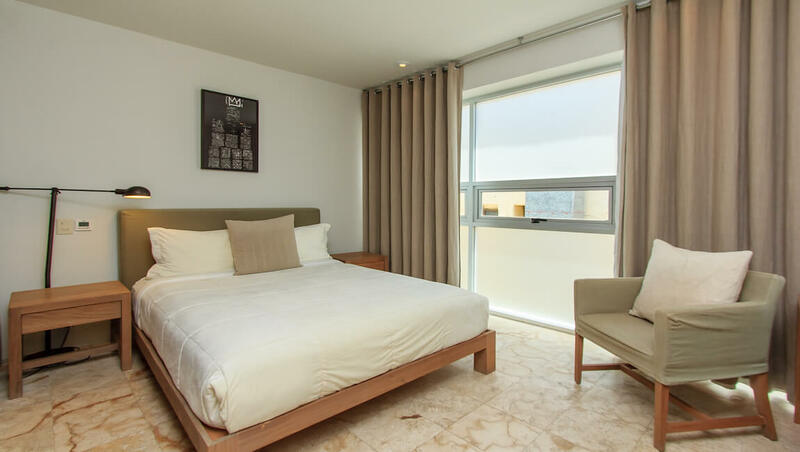 With great Playa del Carmen condos, Magia building has a perfect location, just steps from the beach and a short walk to 5th Avenue, you will be in the heart of the action – put your toes in the sand or walk a block to the vibrant pedestrian area filled with restaurants, bars, coffee shops, and some of the best shopping in the area! 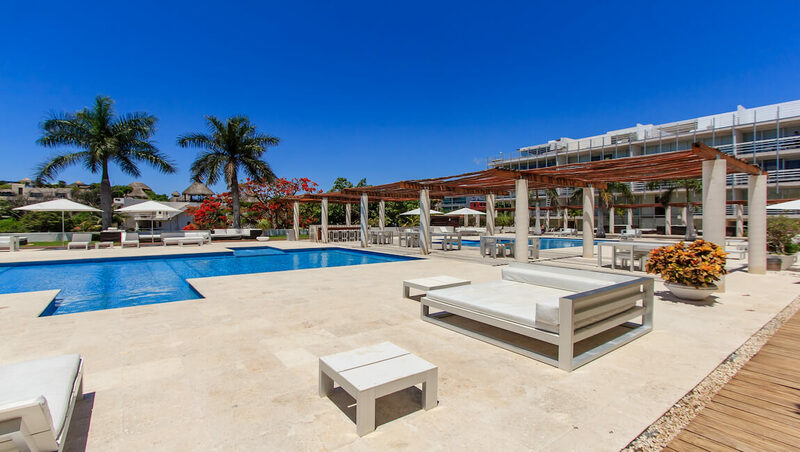 The Magia complex offers amazing amenities like 2 swimming pools (one just for kids), lounge areas, gym, 24/7 security, underground parking, and gorgeous ocean views. 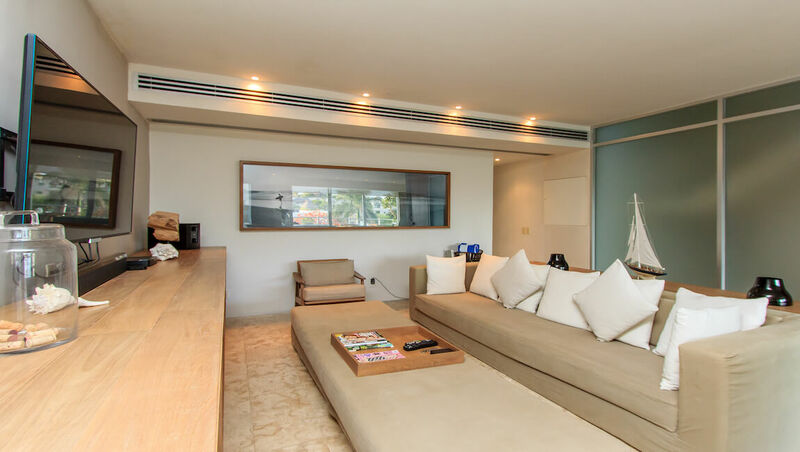 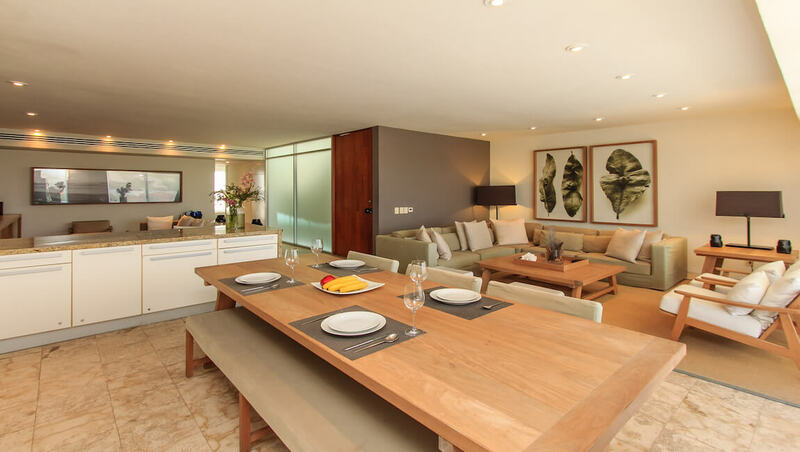 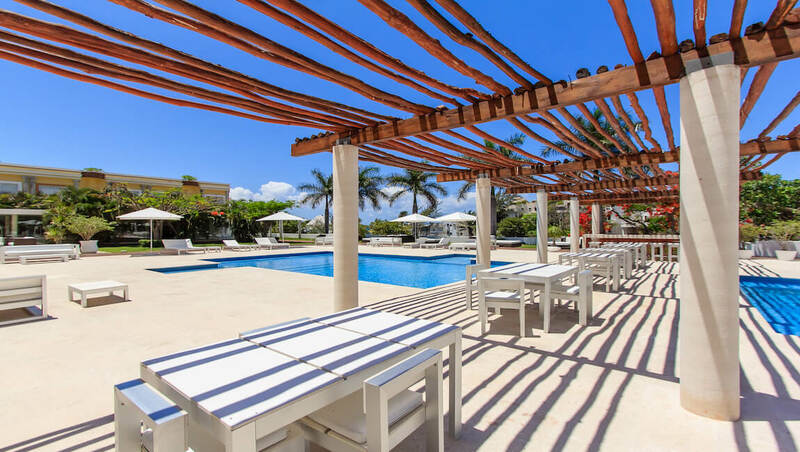 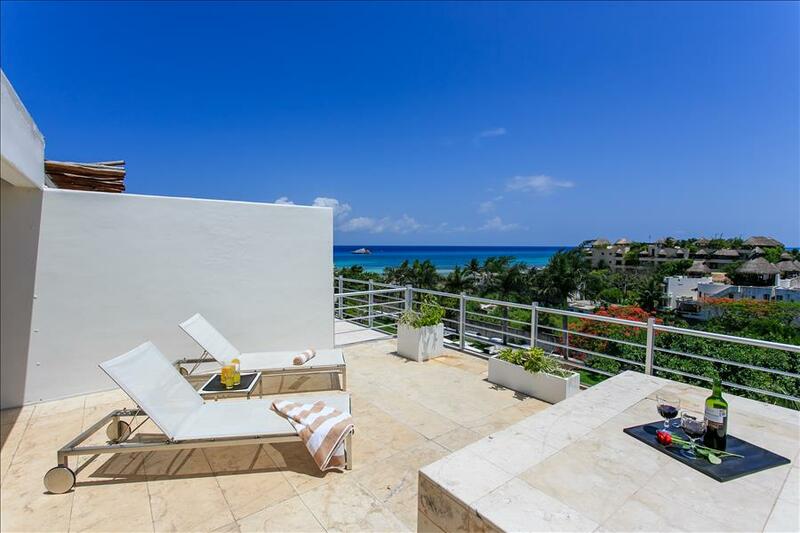 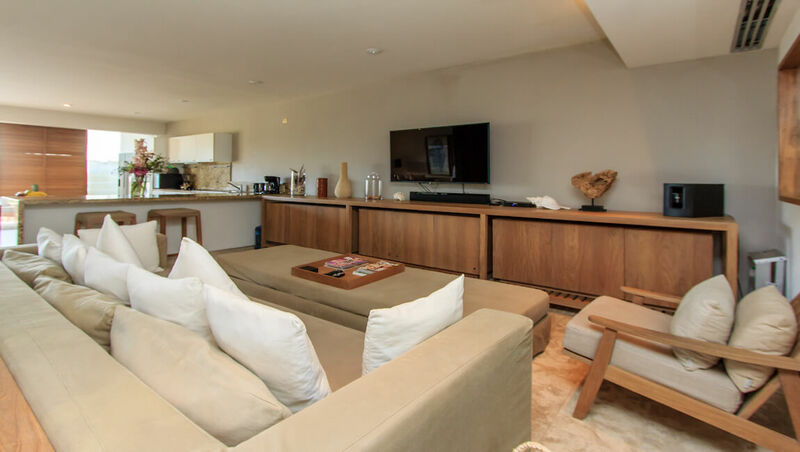 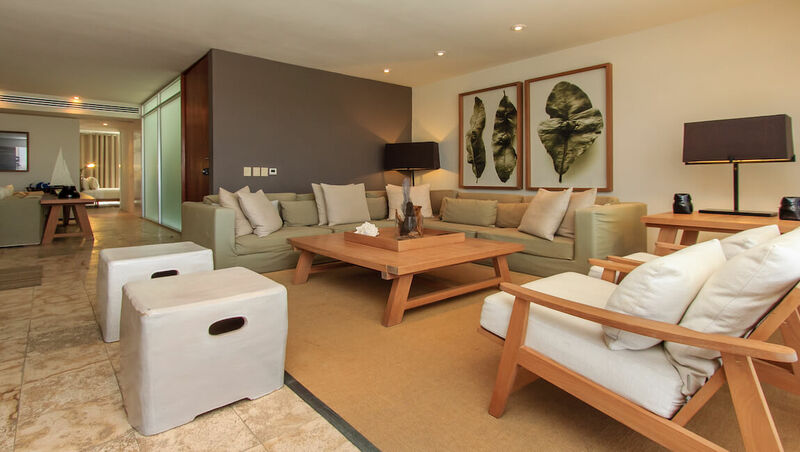 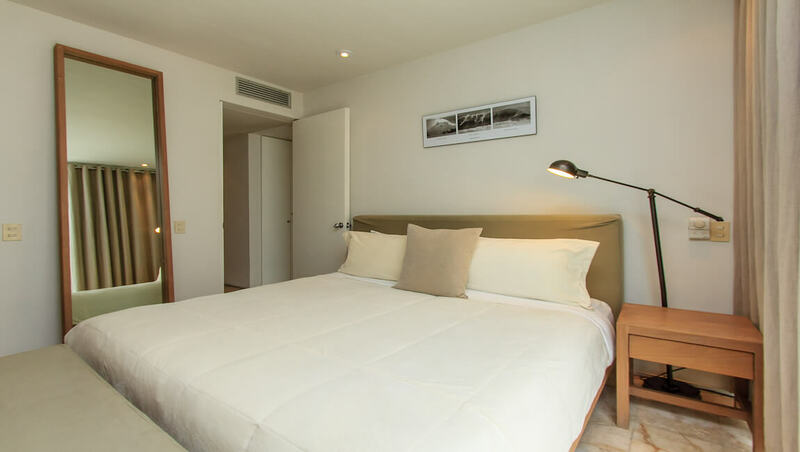 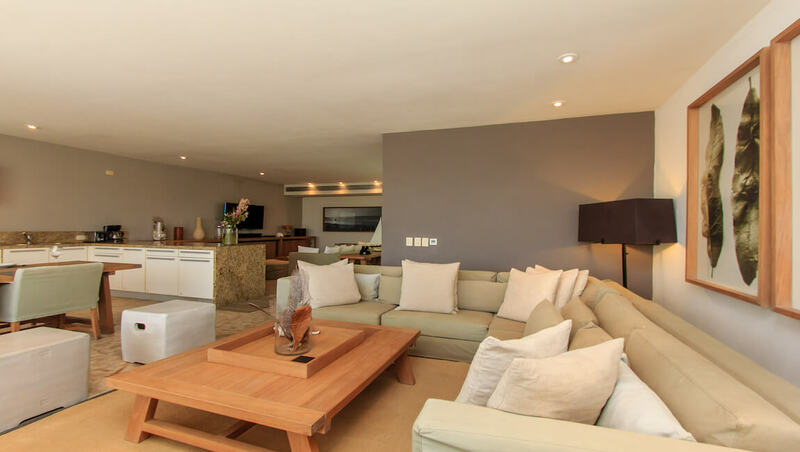 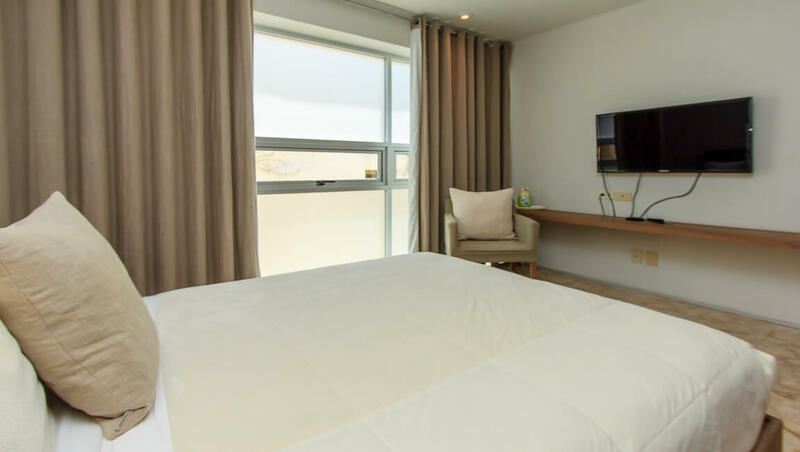 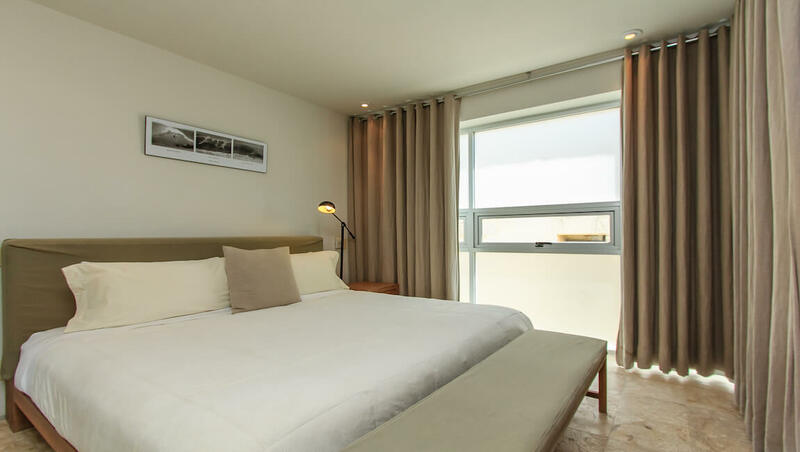 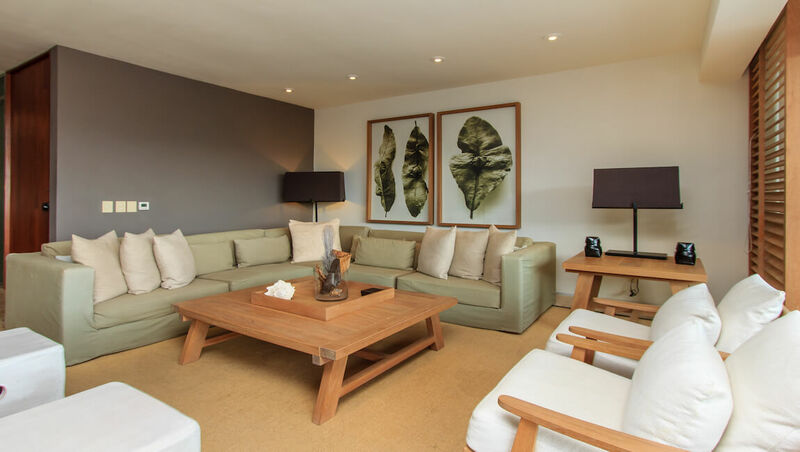 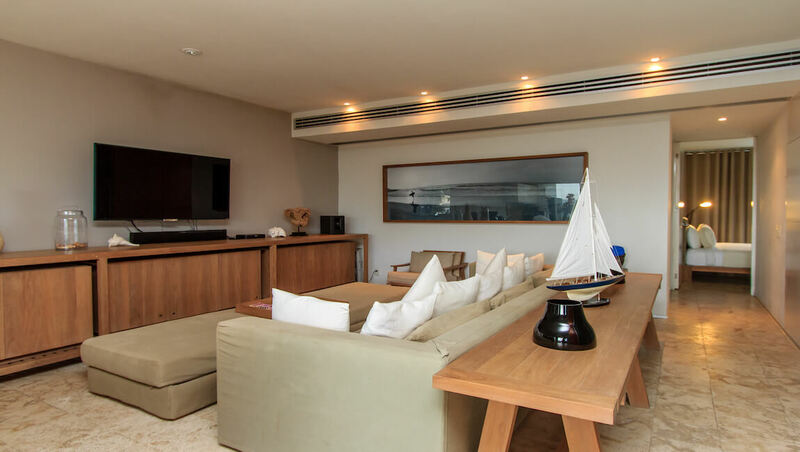 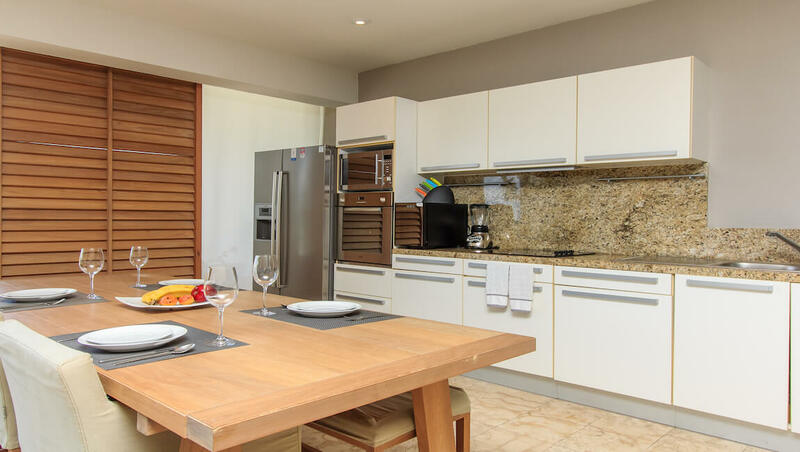 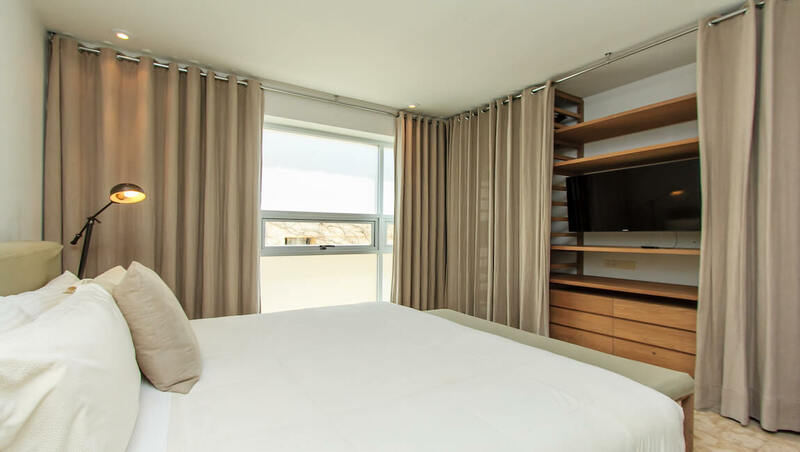 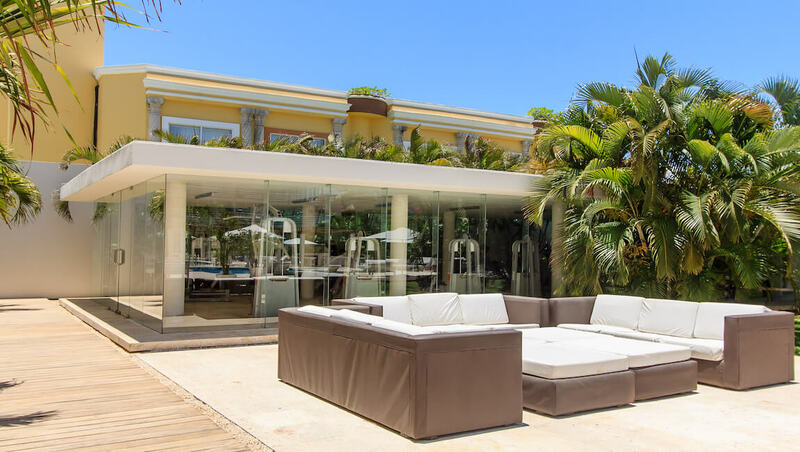 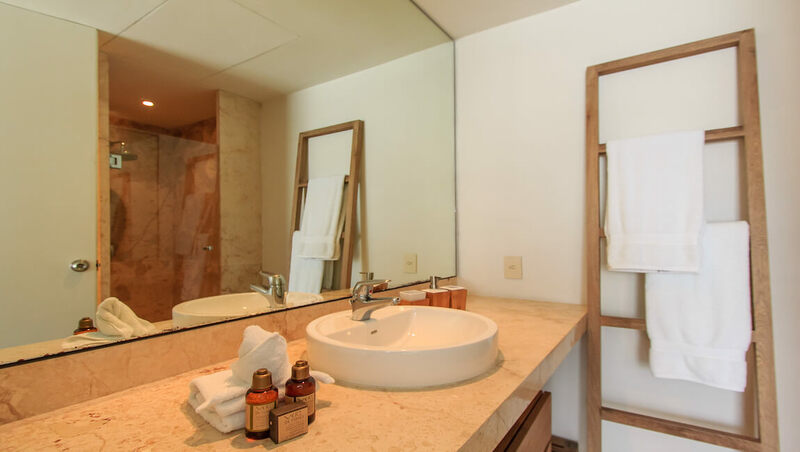 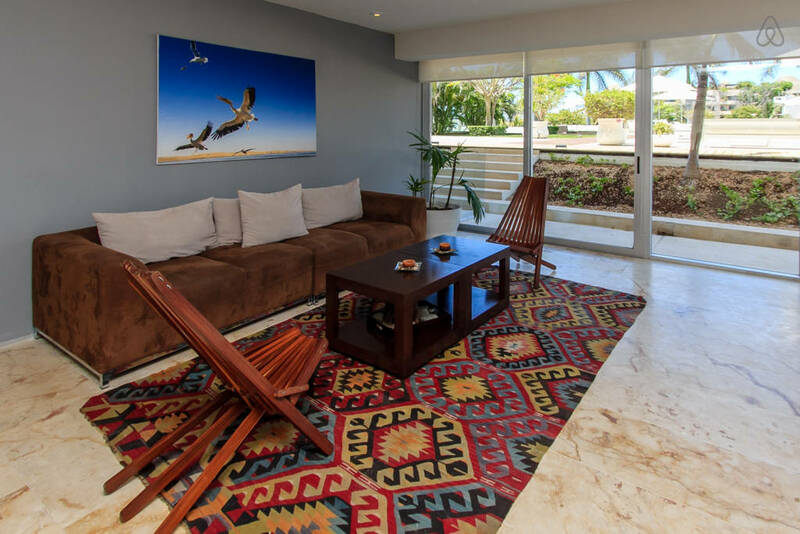 This luxury condo has an amazing condo for vacation rentals in Playa del Carmen, features 2 bedrooms, two bathrooms, a living room and separate family room with plasma TV, dining room and a fully equipped kitchen with high quality appliances. 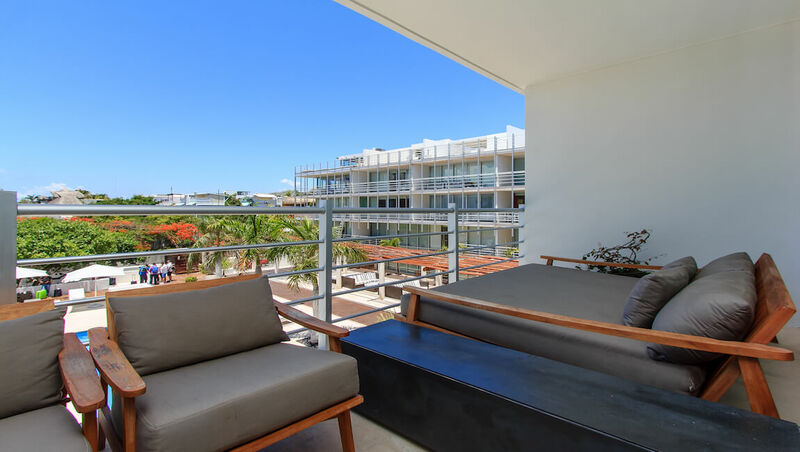 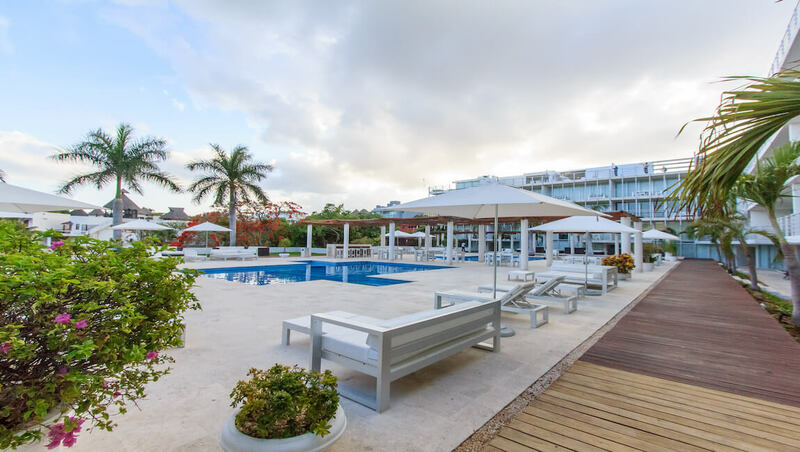 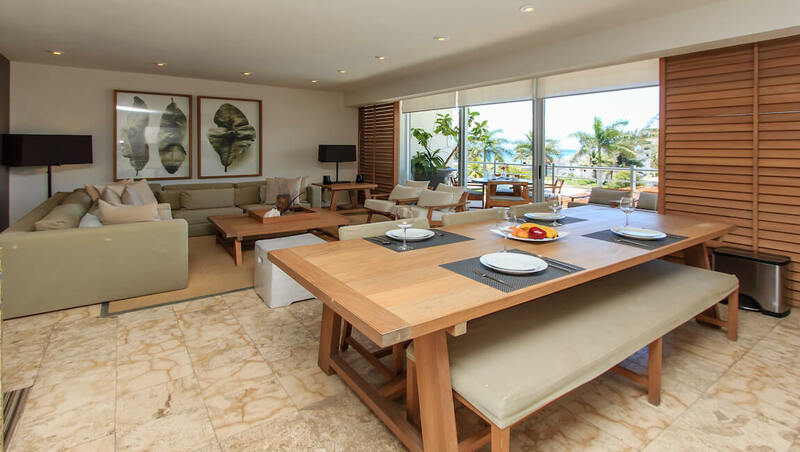 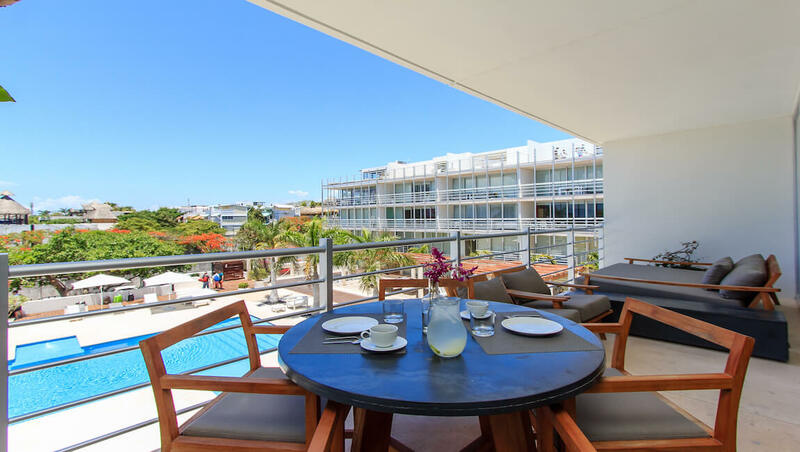 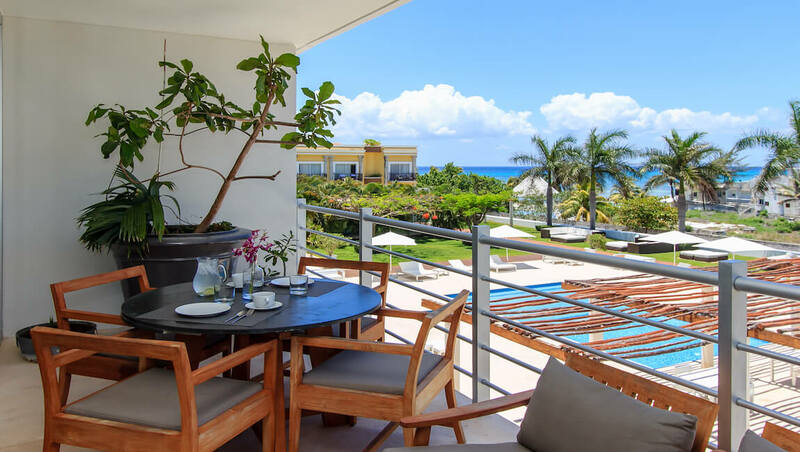 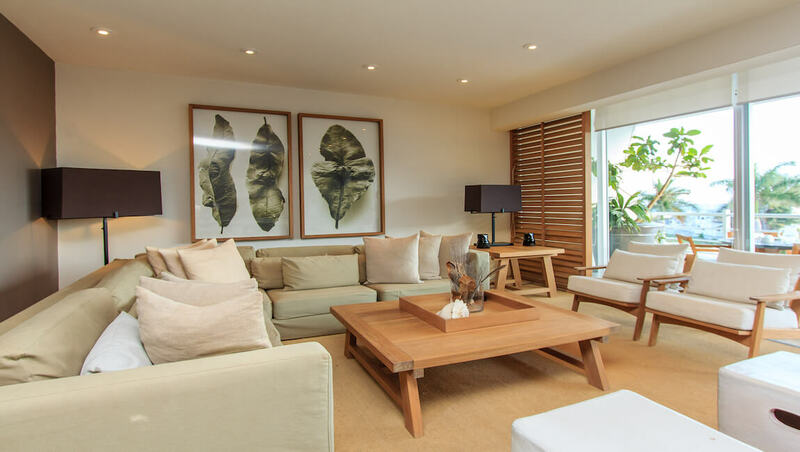 From the living room and through sliding glass doors, there is access to a balcony with tables and chairs, with views of the Caribbean sea and the lovely common areas of the complex. 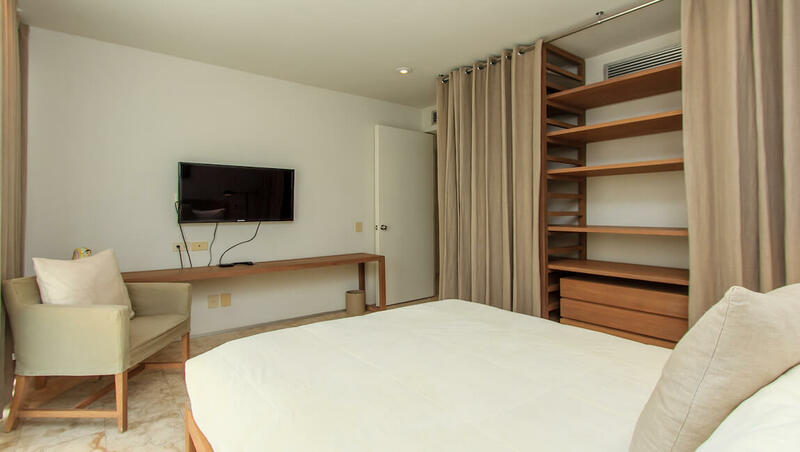 The master and guest bedroom both have en-suite bathrooms and large closets, with a king bed in the master, and a queen bed in the guest room.